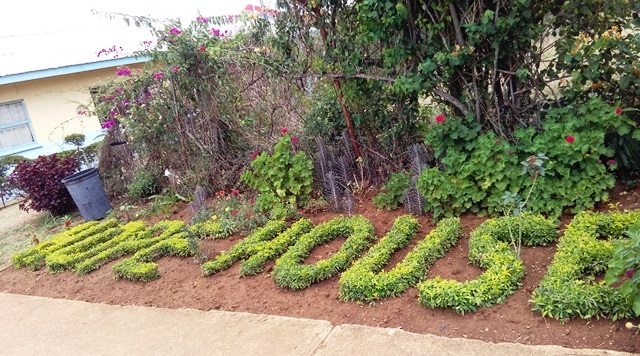 Hope House is a faith based charity centre serving as a hospice facility, a home for the terminally ill, HIV/AIDS and HIV/AIDS related illnesses. It is a center which serves as a half way-house between, hospital and home for those in need. Our main objective is to alleviate the physical, psychosocial and spiritual suffering of the terminally ill, through the provision of a quiet environment, palliative care, dietary advice, counseling and companionship. We have 25 units where we can admit and care for the clients, we also have a children’s unit where we admit and care for the HIV AIDS and terminally ill clients and provide the terminally ill residents with holistic care, comfort and user-friendly services. With the children’s programme we work in collaboration with the Rocking Horse project. The center is a half-way house between the hospital and home. Our Vision is to offer the Nation a sanctuary of peace of mind in their need. Our mission is to ensure that patients are prepared for their lives on earth and the world beyond. And those who are very ill to prepare them for a dignified death. This month we had three clients whom we assisted with their dignified death, all those clients stayed with us for 4 to 5 days after being admitted. We also have a physiotherapy unit where we provide physiotherapy to the clients, the physiotherapy helps the clients to walk back home, thanks to the many donors who assisted us to make it possible. We have a client Xolani who had motor Vehicle accident. The lower limbs were paralysed due the accident. His sister is mentally challenged, and mother is a domestic worker. MVA fund assisted him in a small way. Now he is discouraged and disappointed looking at his life ahead and looking for someone to assist him. He also came to hope house with severe pressure sores and it is being healed.